Hunter came to live with us at 5 weeks old on February 13, 2010. 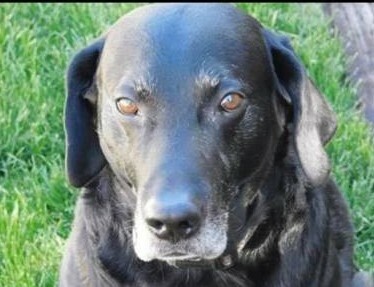 He was to be our bird dog but became the best and most amazing family dog. Through out his life Hunter faced several medical issues. Since he was 1 and started having seizures, we felt that each day we had with him was a blessing. We felt it was always meant to be for Hunter to come to live with us. Hunter turned 9 on January 1st. He had a very full life full of fun and adventures and most of all love. Hunter always made a lasting impression on all those he met. He never met a stranger and figured anyone who came to his house was there to see him and to play ball. Playing ball, whether it was his Kong ball or his basketball, was his favorite thing to do. We always laughed that Hunter needed to go play basketball professionally. He was such an expressive guy. He always knew what look to give you to make you melt or give in. He had the most beautiful brown eyes that just sparkled with life. Hunter always looked forward to phone calls from “Aunt Lis” because she always said he could have cookies. We would have to put her on speaker so he could talk to her personally because unless he heard her voice, he wouldn't stop begging for cookies after he knew you were talking to her. Alisa Anderson will forever be Hunter's favorite Aunt. Hunter also looked forward to going to see “Uncle Matt”. He didn't like riding in cars very well but always got so excited to hear that he was going to go see Uncle Matt. We don't remember how we started calling him Uncle-but Hunter absolutely loved him! Matt Kerns from the Animal Clinic had a special place in Hunter's heart and ours for all he and everyone there did for Hunter over the years. There are no words that can ever thank them enough. Hunter loved his family so very much. He loved early morning snuggles with his dad, following Mom around to see what she was doing and giving his Angela Good Morning kisses! His Grandma Rose always snuck him tasty treats and sent him birthday cards and fun presents. Life was an adventure with Hunter by our sides. We could go on and on with stories from Hunter trying to retrieve our fishing lines when we would take him fishing to cutting a Christmas tree and him pouncing all over Angela while she was trying to make a snow angel. He took over Angela's big Princess pillow when he was about a year old and for the remainder of his life he would sleep on it and pack it around the house. Our lives were forever changed for the best with Hunter in our lives. Run pain free our sweet boy! No more seizures, arthritis, glaucoma or any of that which was giving you so much pain. You can rest forever with your Princess pillow you loved so much. Our hearts are broken but we know this was the right choice for you. When Uncle Matt came for the final time today, you just laid your head in his lap and didn't struggle in the least. You told us all it was ok, it was your time to go.